Using the same design principles of our premium architectural and box speaker lines, the all new Klipsch Custom series delivers true Klipsch sound to any budget. 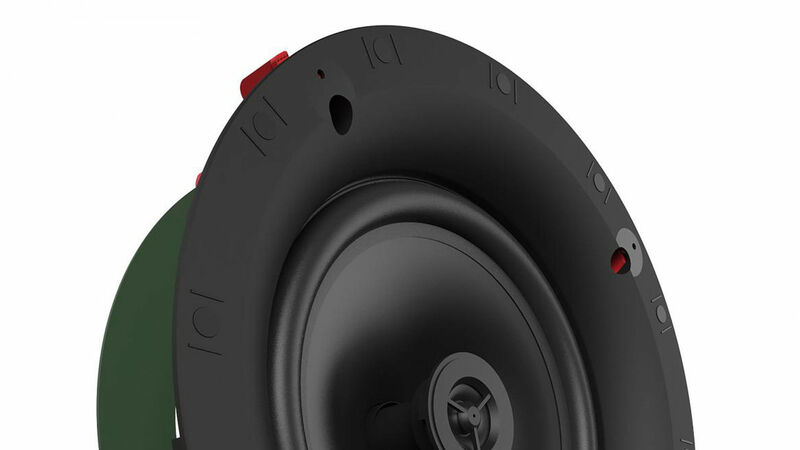 The CS-18C features a 8” Polymer woofer and a 1” Polymer tweeter. Utilizing Klipsch Patent-Pending SkyHook™ Tool-Free Installation System, your install time is reduced by 75%. Usually, in-ceiling speakers take just as long to install, regardless of their level of quality, which makes smaller jobs take just as long as the big ones. Thanks to Klipsch’s Patent-Pending Skyhook system, installation of Custom Series speakers is simple and easy. Installation takes a fraction of the time it used to take, allowing you to focus on other parts of the job, or simply be done faster, allowing you to move on to the next job and allowing the customer to enjoy their new speakers. Klipsch Custom Series In-Ceiling speakers use a bezel free magnetic grille, which can make the speakers nearly invisible once painted and installed. Perfect for multi-room audio systems where you you want to focus on the music, not the speakers. Nobody should be burdened with bad speakers just because they don’t have as much money. Klipsch Custom Series speakers still provide the quality sound that Klipsch is known for, at a price anybody can afford.